Begin your trip by exploring Costa Rica’s dramatic and steaming Arenal Volcano. In this mountainous region, unique hot spring water parks beckon you to soak and splash. 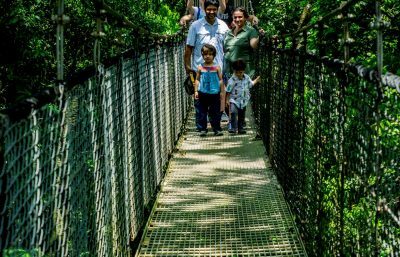 The surrounding rainforest invites you to explore her canopy and forest floors. Next, take a short road trip to the Central Pacific Coast to enjoy Costa Rica’s beautiful white sand beaches and warm clear waters. Perfect for snorkeling and surfing. Private nature reserves and national parks in the region offer opportunities to get face to face with sloths, monkeys, and iguanas. In just one week, experience Costa Rica’s most iconic destinations with the guidance of your personal local host/guide/driver/captain. See Costa Rica like a local. Stop at off the beaten path attractions along the way. Travel at your own pace. 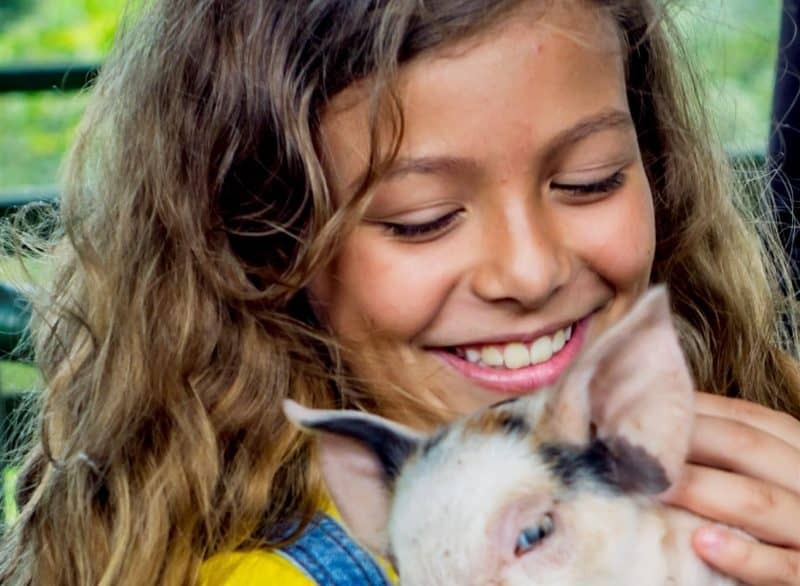 This itinerary was crafted for families with young children under twelve in mind, but it is fully customizable with the help of Trekaroo’s favorite Costa Rica local expert. 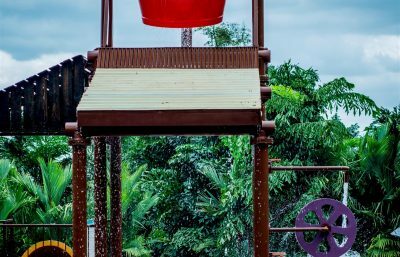 Trekaroo founders, Brennan and LiLing Pang went to Costa Rica, check out what their trip was like in the video below. It’ll give a taste and flavor of what your trip might be like. Trekaroo has negotiated exclusive perks for our families! 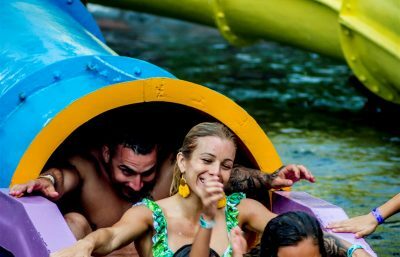 When you book this trip through Trekaroo, claim one of these three bonus upgrades*. *Valid only on bookings that include a host/guide/driver/vacation package for a minimum of 6 days for 2 people. Your drive host/guide/driver will meet you at the airport. Provide private transportation to your hotel in San Jose. 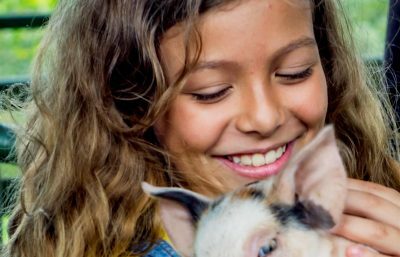 You’ll receive your welcome kit and your kids will be introduced to IL Viaggio’s unique and playful treasure hunt experience. – Cultural encounter with cimarrona and mascarada. One of these activities is included in the price of this trip and your host/guide/driver is available to provide transportation and suggestions. Enjoy breakfast at your hotel. 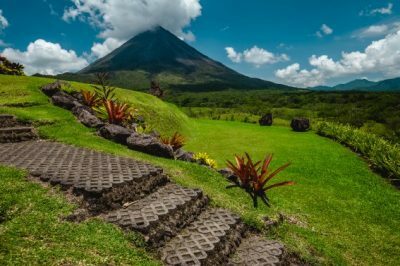 At your leisure, your guide/driver will take you on a road trip in your own private van from San Jose towards the Arenal volcano. Along the way, enjoy a few unique stops. At the colorful artisan town of Sarchi, our guide will introduce you to a local artisan family. This artisan family still practices their craft in the traditional way dating back centuries before electricity arrived in this coffee growing area. Learn about their traditional way of life crafting colorful oxcarts using water and hand-powered tools. You’ll even get a chance to paint your own oxcart to take home with you. Another stop that kids love is runing through Zarcero Park. It is filled with whimsical hedge sculptures. Grab a drink and snacks at the roadside cafe next to what the locals affectionally call Iguanas Bridge. Hundreds of iguanas congregate here daily. 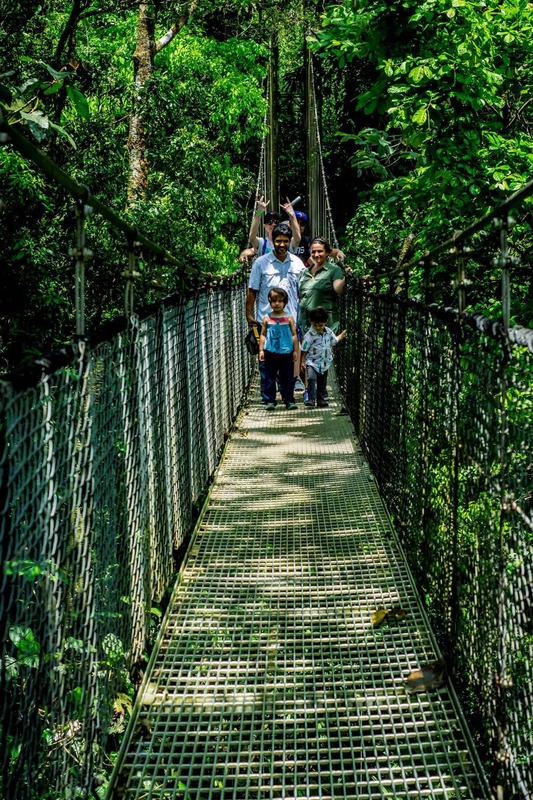 After breakfast at your hotel, enter the rainforest canopy through a series of hanging bridges. Soak in moist air, dense vegetation, sounds of the forest, and amazing views of the Arenal volcano. You’ll feel completely surrounded by mother nature. 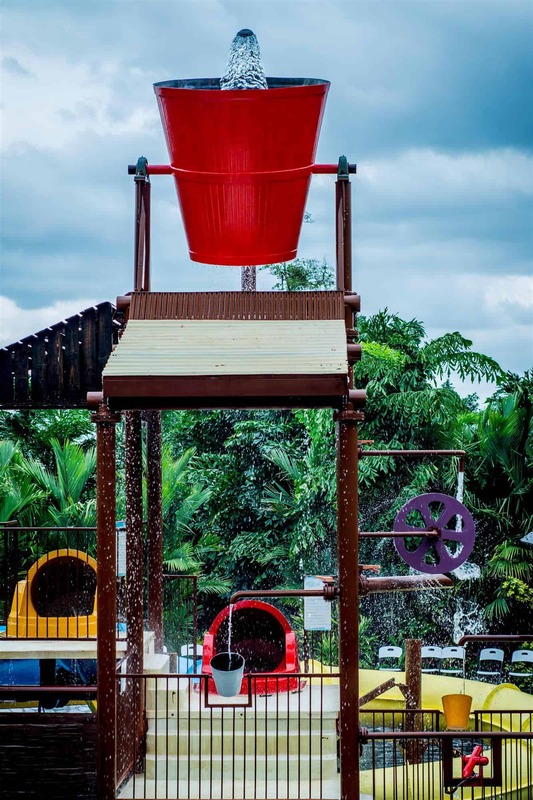 In the afternoon, splash in a unique hot springs waterpark. 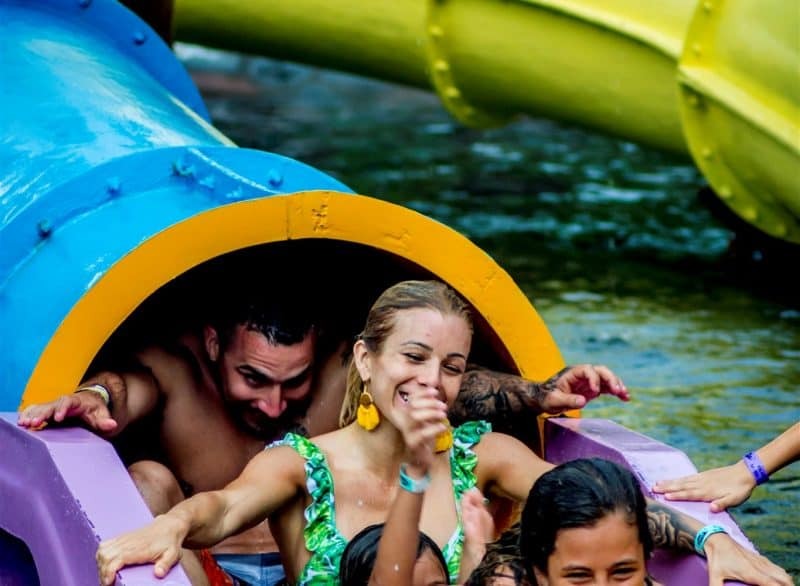 Your Costa Rica trip planner will advise you on the right waterpark to spend the afternoon based on your children’s ages and interests. After breakfast, spend the day with a local Costa Rican farmer. 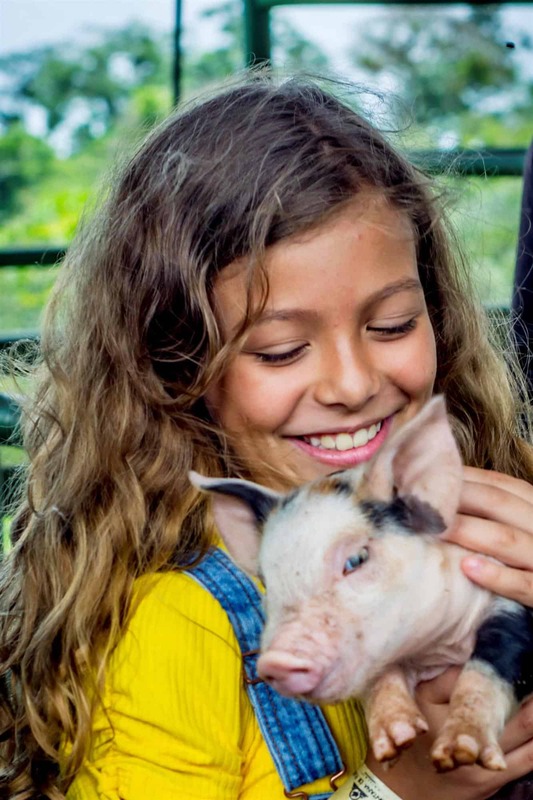 This is a hands-on educational experience for kids to learn about domestic farm animals, medical plants, greenhouse, sugar cane process. Enjoy a farm to table local home made lunch. 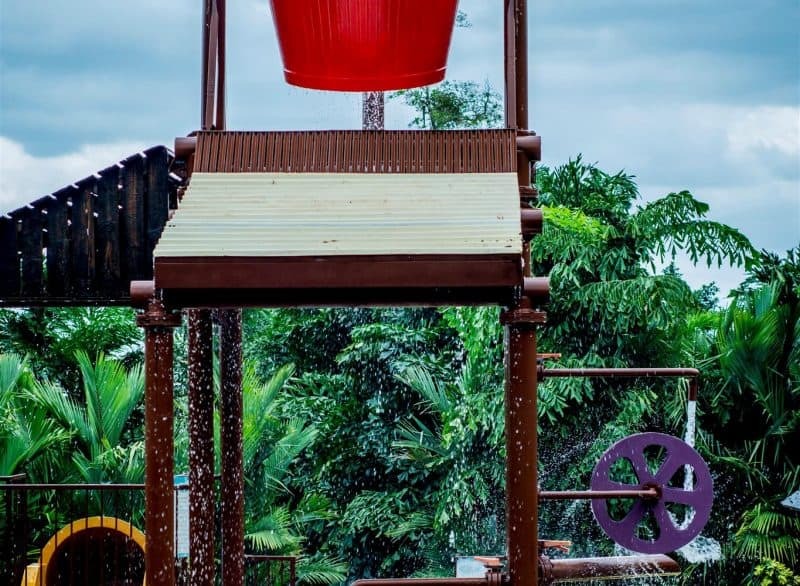 Optional add-on: in the afternoon, you may want to add on a canopy and zip line tour through the scenic mountains and forests. Your trip planner will let you know the age and height requirements of the different tours. Following breakfast, hit the road again. As you road trip to the Central Pacific Coast, stop in San Ramon at a favorite local ice-cream spots. 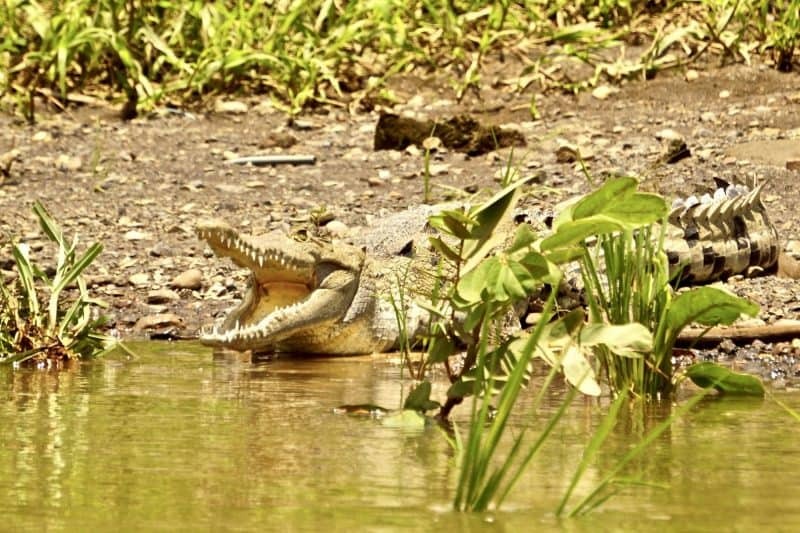 At the Tárcoles River, enjoy a river safari boat tour. 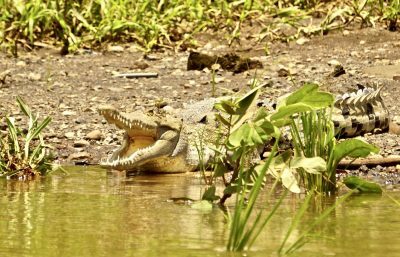 Get up close to 17-feet long crocodiles, magnificent birds and wildlife. Enjoy lunch before continuing on to your beach hotel on the Central Pacific Coast. The Central Pacific Coast of Costa Rica is an ecologically diverse region known as the transitional rainforest. National Parks and private reserves in the area are teaming with wildlife. 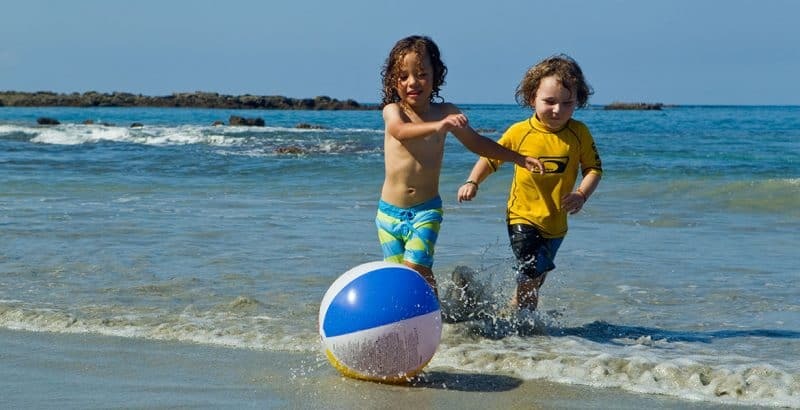 It’s quieter white sand beaches are wonderful for relaxing and playing as a family. There is also great surfing and snorkeling in the warm clear waters. On this beach day, your host/guide/driver will pack a picnic lunch for your family. He’ll spend the day amusing your kids while you relax. 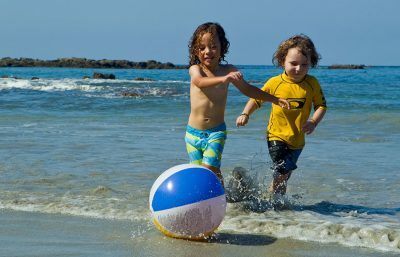 Your kids will love playing local beach games, searching for hermit crabs, opening beach almonds, and building sandcastles. Parents are welcome to kick back and relax. Snorkel gear and surf boards are available for rent. Your private van and host/guide/driver is available if you want to explore the area, see neighboring beaches and towns, go out for lunch or dinner, visit the supermarket, make spa reservations or just to help you out with the kids. After breakfast, explore the private nature reserve of Punta Leona with your naturalist guide. Punta Leona is home to 4 different types of monkeys, sloths, red macaws, and a diversity of birds and small critters. See nesting turtles and help naturalists with their conservation efforts. This is an additional add-on activity is available during tutle nesting season between June to October. On your final evening your captain will wrap up the treasure hunt experience with your kids and give them a treasure keepsake. After breakfast your host/guide/driver will take you to San Jose airport for your flight back home. 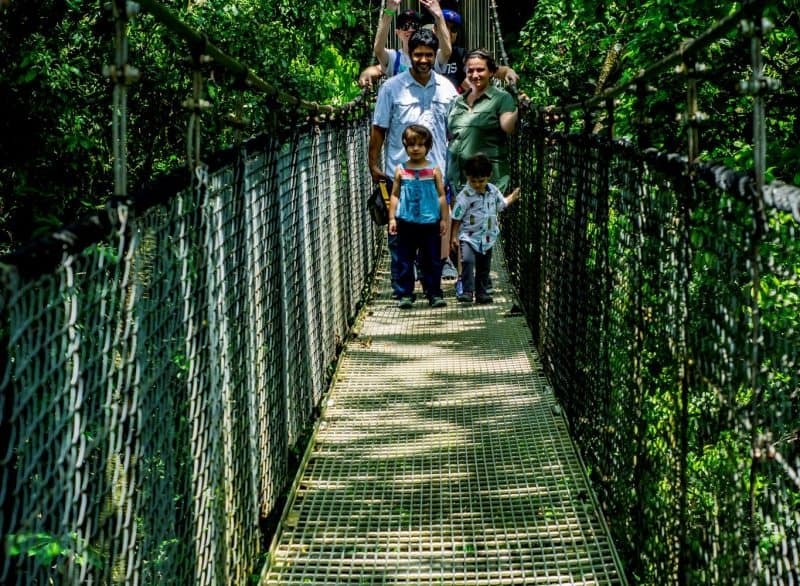 Costa Rica Family Holidays is Trekaroo’s trusted operator for Costa Rica tours for families. 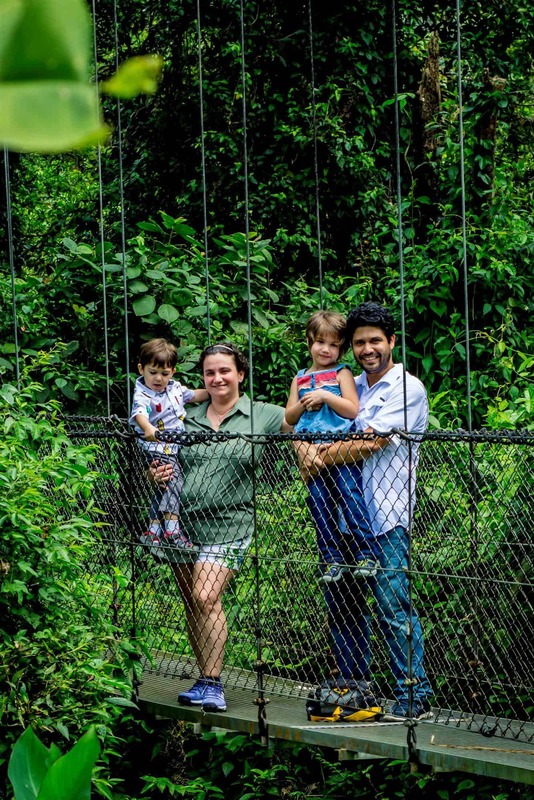 Each family itinerary is custom built for individual families by 100% Costa Rica based experts. The husband and wife team of Stephanie and Emilio Sheehy are parents and understand kids. They leverage their deep local connections, to craft immersive hand-on experiences. Their personalized family trips are completely unique. A highly knowledgeable bilingual guide begins and ends the journey with you. He wears multiple hats as host, guide, driver, translator, and fixer. It is the difference between visiting a county like a tourist and visiting a local friend showing you the country he loves. 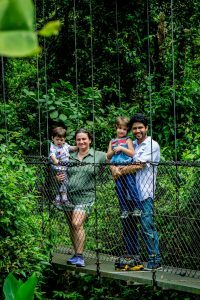 Costa Rica Family Holidays has well established local relationships that will secure you the best rates and ensure special accommodations are met. They are leaders in accessible travel within Costa Rica. “Our family of 5 traveled with Costa Rica Family Holidays last year. We were particularly impressed with our local naturalist guide who acted as our host, driver, and guide. He made sure that as a mom, I didn’t have to worry about the logistics. I was free to enjoy every adventure as much as my kids. We loved that he would take us to local places to eat and was happy to answer our kids’ myriad of questions about everything under the sun. Our kids have not stopped talking about Costa Rica ever since. Traveling with a 2 year-old and a 6 year-old presents a number of challenges while traveling. Having an experienced guide and company that supports you in your quest for adventure and comfort was key for us. We were able to fit in a lot of fun while also sticking to nap time for our 2 year-old. Our guide was extremely knowledgable and friendly and, as our “Captain, he connected with our kids immediately. It was so nice having a captain with us!